Last year in school, when we were studying Romeo and Juliet. My English 1 teacher gave the class an assignment to make your own Romeo and Juliet death scene. The options for making your own death scene from what I remembered was to make it in a powerpoint, word, painting, etc. I decided to make my death scene in Clickteam Fusion 2.5. At first, my teacher was skeptical about it. So I took a day off on Saturday from the project I was working on back then, to make a prototype to show to my teacher to the all clear to make it. And I show it to her on Monday and she gave me the all clear to make it. But the problem was that it was due the next day. And I didn't work any of it because I didn't know if she was going to approve of it. So when I got home from school, I basically spent all day making it. By turning the prototype into the full death scene. But thankfully I finish around before I went to bed. The turned it in the next day. A couple of days later my teacher gave me my grade for it. And I got a 100% on it and also see ask if she could keep a copy of it to show it to her next year class. And I agree with it but unfortunately this year she is teaching Economics but I hope she goes back to teaching English so she can show my death scene to her future students but if not that's okay. 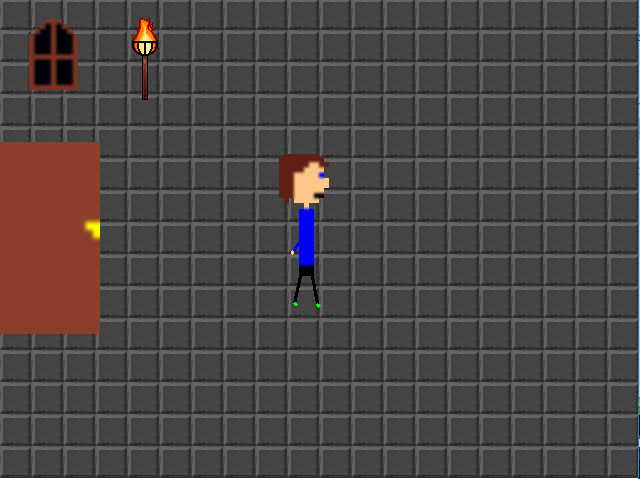 Warning: The graphics are horrible and I use pre-made assets from the clickteam fusion library. And for playing it. There are no controls and it's basically a cutscene (air-quotes) and the only controls are for the space bar to pause. But other than that there are no controls. Anyway, I hope you enjoy it and have a good day! Always loved when people used fusion to make movies like this! Thanks for helping keep the grand tradition of Click-based movies alive, and congrats on your grade! Damn... that was actually pretty fun to watch! Good job and congrats with your grade! I also made a Click-based movie a while back, should I release it? Not trying to be mean Fiendry. But I did get a 100% because it met all of the requirements for the project and I was the only do a video (But made in clickteam fusion 2.5) while everyone else did it as a painting, in powerpoint, word, etc.